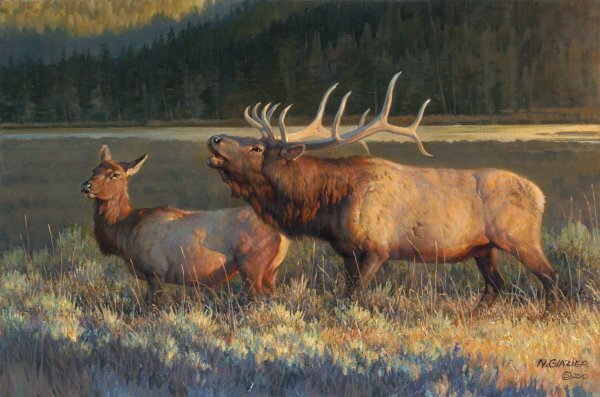 Nancy Glazier is a master at portraying nature. This release features a magnificent bull elk standing guard with a female in tow. As he calls out making his presence known, perhaps other females in his herd will join him to bask in the "Evening Light."